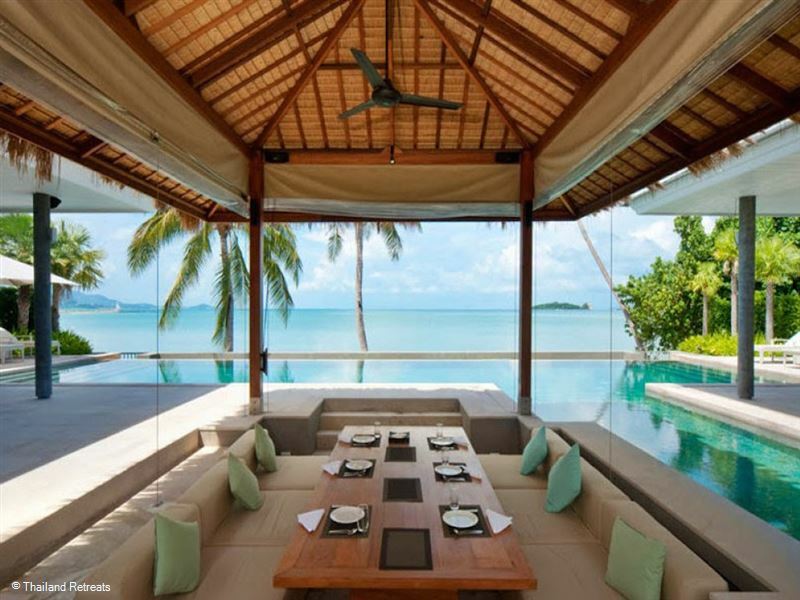 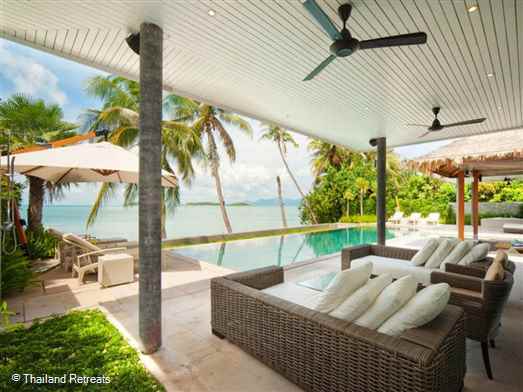 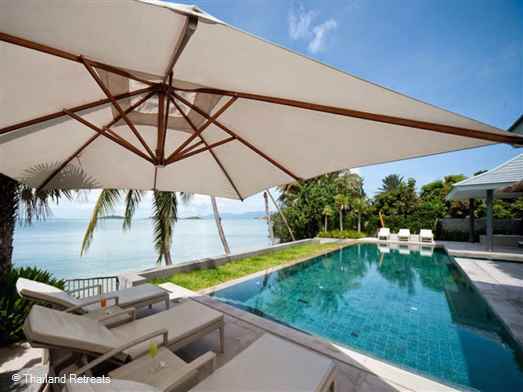 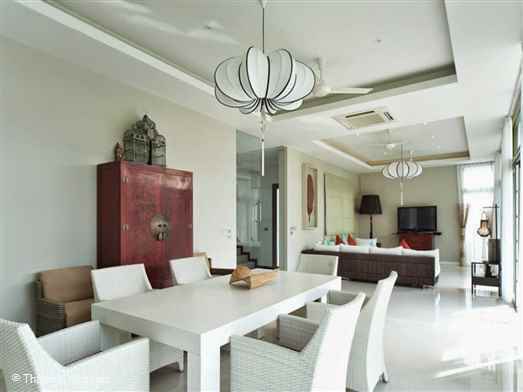 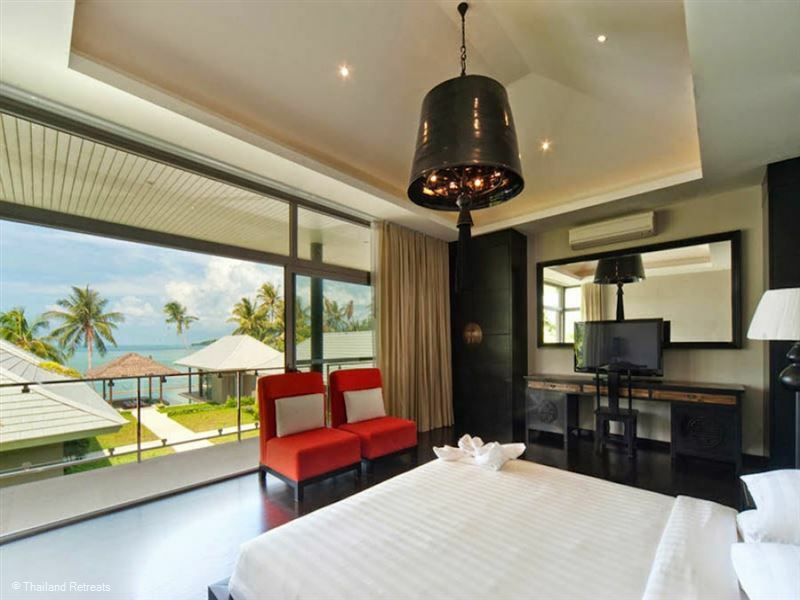 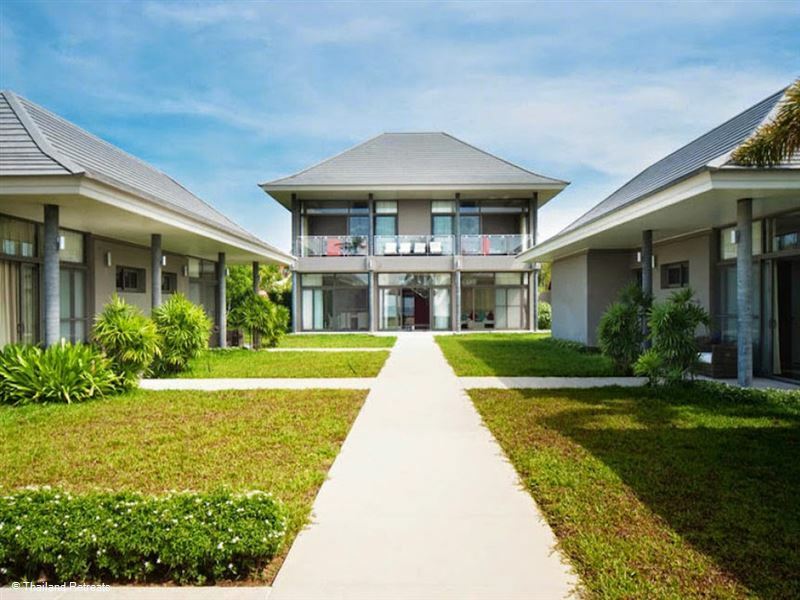 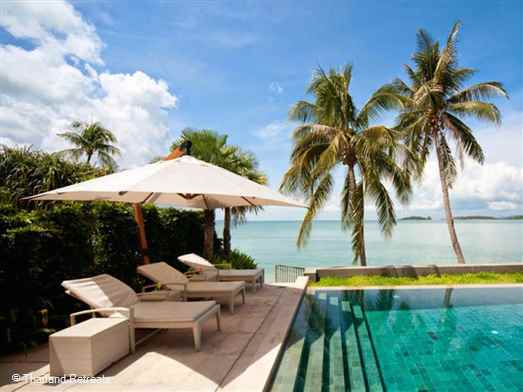 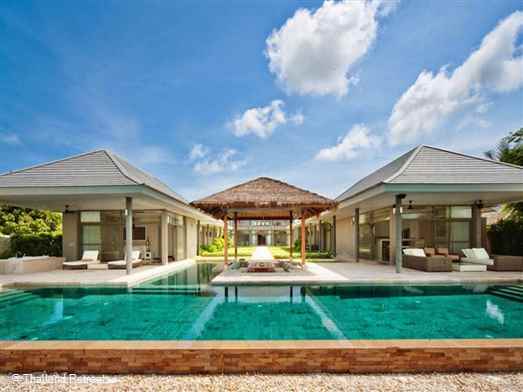 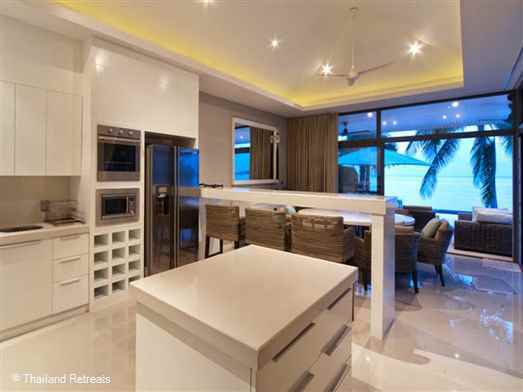 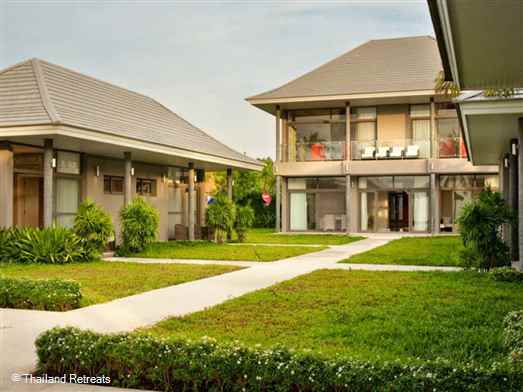 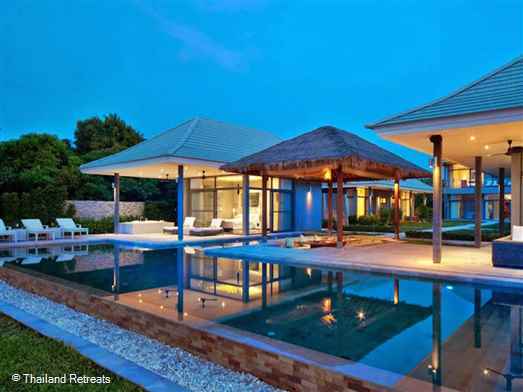 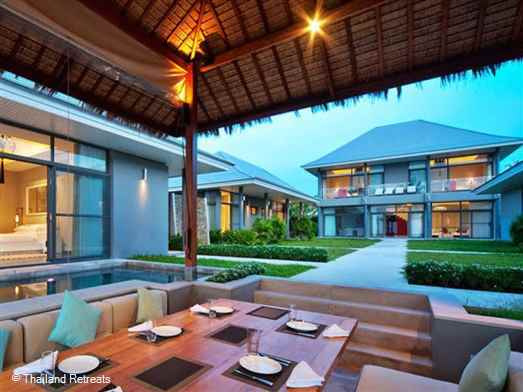 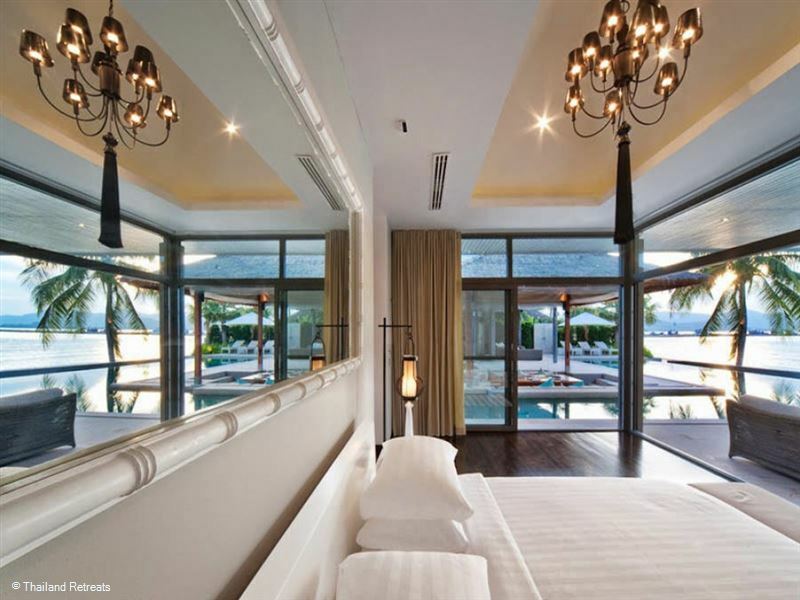 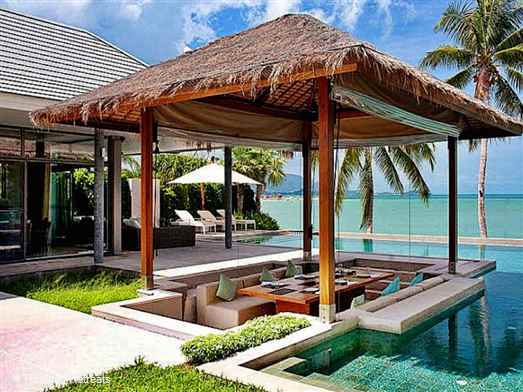 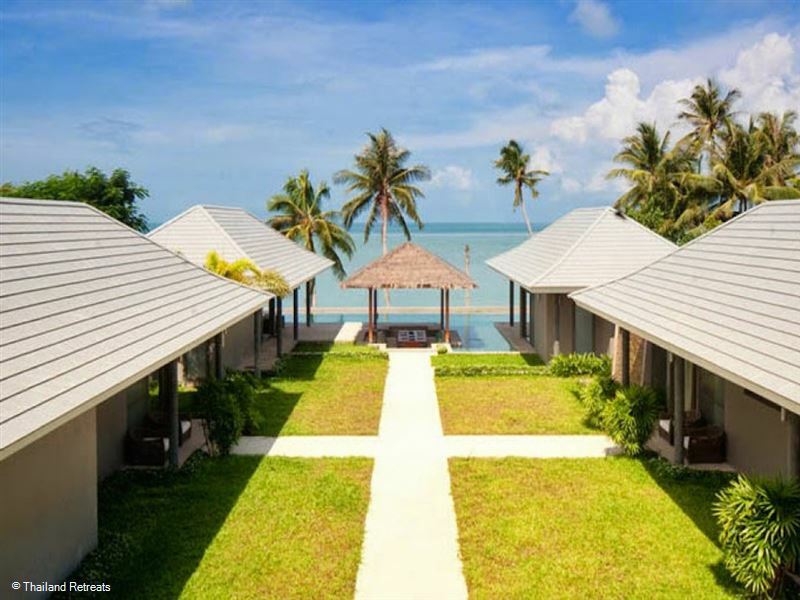 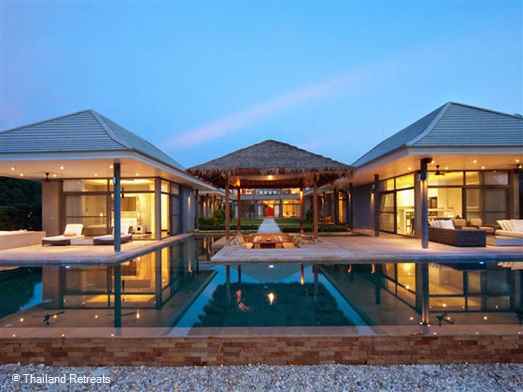 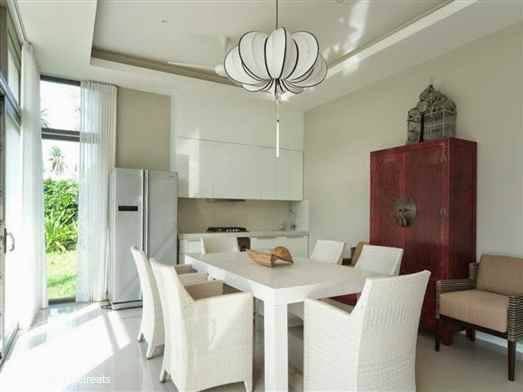 This stunning villa in Plai Laem is nestled in a quiet beachfront location just a short drive from Koh Samui airport. The remarkable architect-designed home offers a wealth of luxuriant living accommodation with six en-suite bedrooms, an enormous infinity-edge pool and spectacular views of Koh Samui’s exquisite sunsets and neighbouring islands. 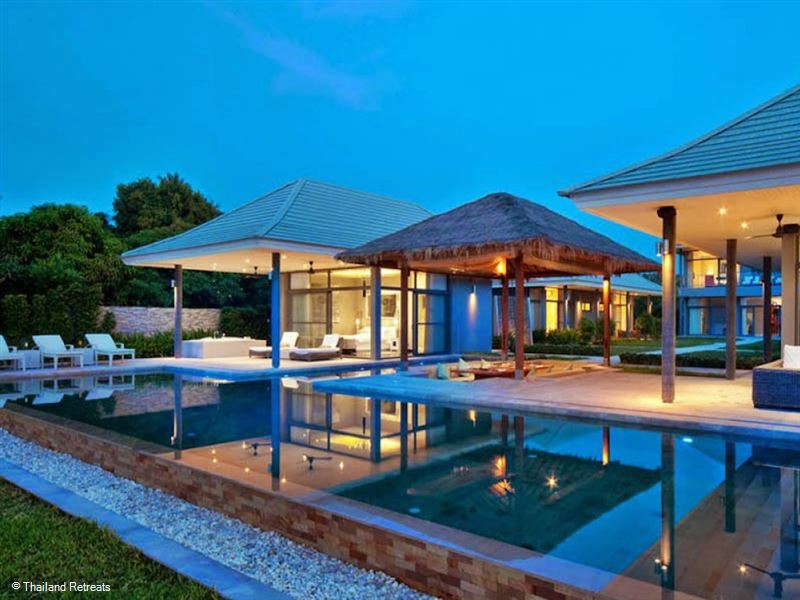 Ornate wooden doors and immaculately manicured pathways lead to the heart of the home with its open-air living pavilion and gorgeous pool deck. The main living pavilion is bright, airy and spacious offering a contemporary kitchen area, open plan dining space, a large living room and further kitchen and dining facilities to the rear of the building. 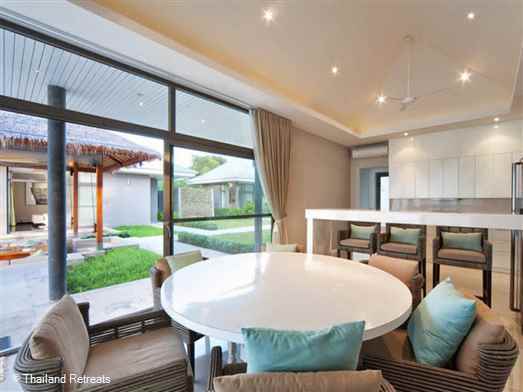 The living pavilion is styled with a mix of modern and traditional furnishings positioned against crisp white walls. 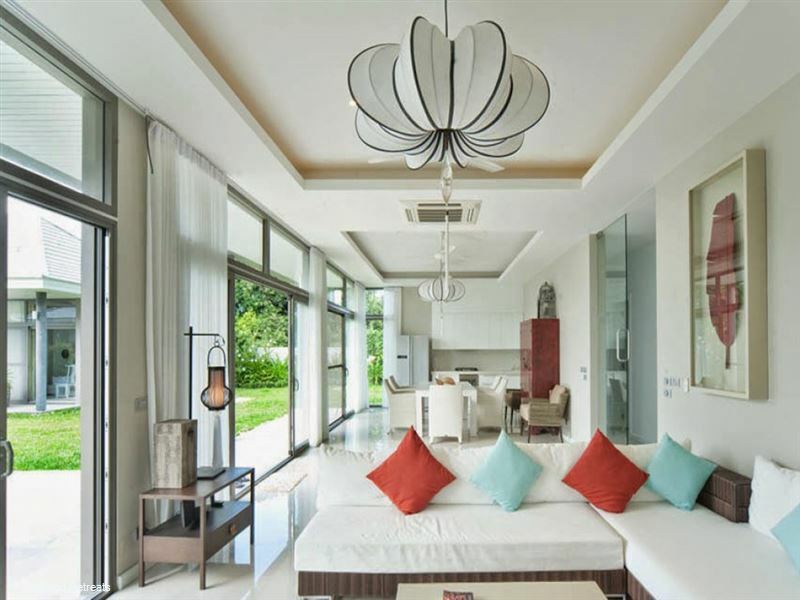 Fresh tiled floors, eastern artworks and lush tropical plants add to the interior’s elegance, with floor to ceiling glass doors folding away to reveal the homes exotic gardens and fabulous pool terrace. 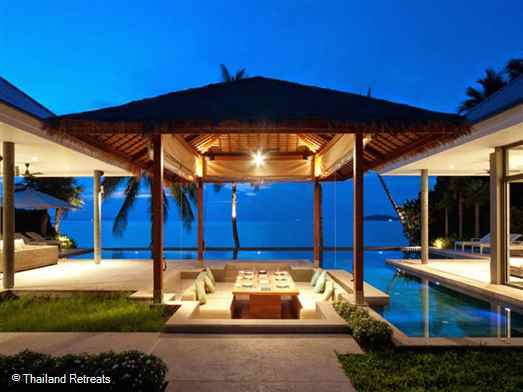 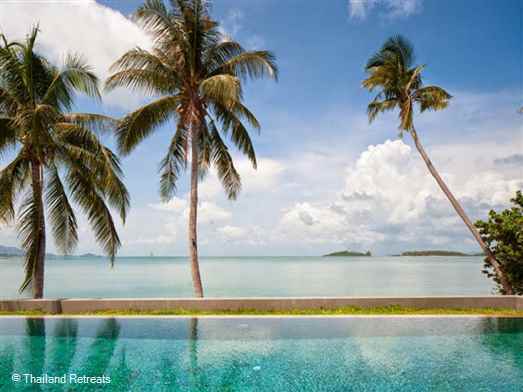 A walkway leads through palm-fringed gardens to a large T-shaped infinity-edge pool that has to be seen to be believed. 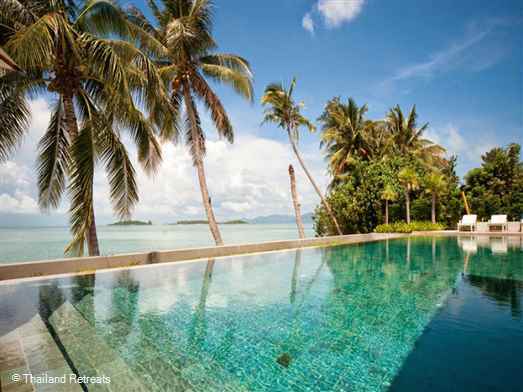 Spilling over into the blue beyond the pool is one of the most beautiful on the island, perfect for swimming laps, relaxing and admiring the tropical island vistas from every direction. 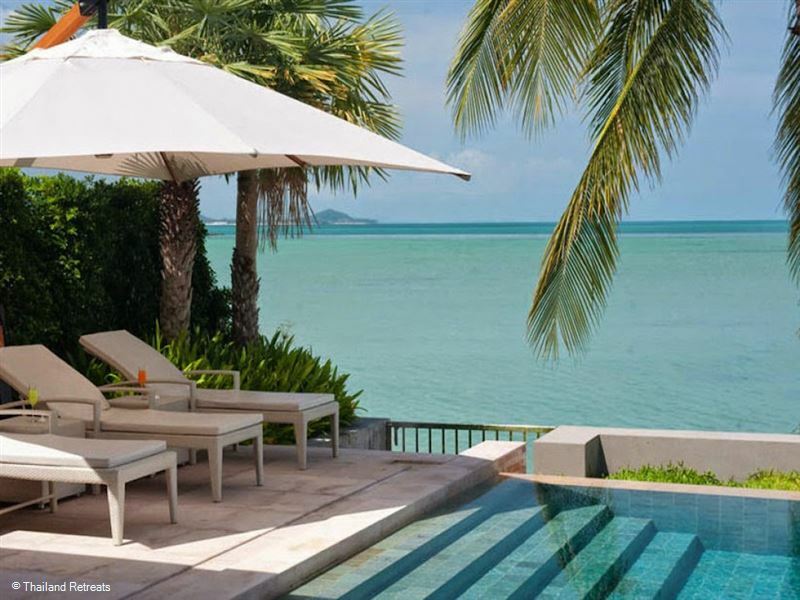 Surrounded by landscaped gardens, sunny daybeds, and gorgeous ocean views, this picture-perfect pool is simple sensational. 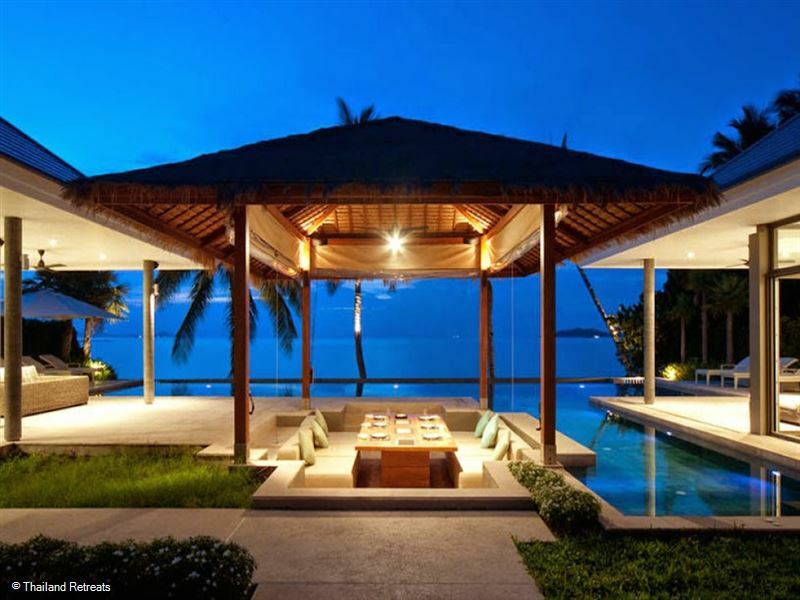 The sunken dining area, Jacuzzi and ‘floating’ terraces add a touch more luxury to this gorgeous outdoor living space. 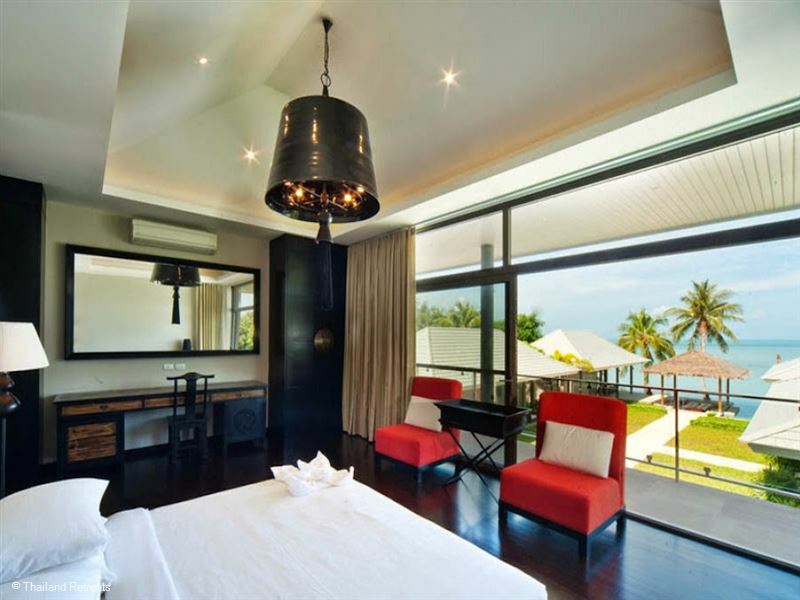 The villa’s six king size bedrooms are superbly decorated with dark wooden floors and luxury accent furnishings. 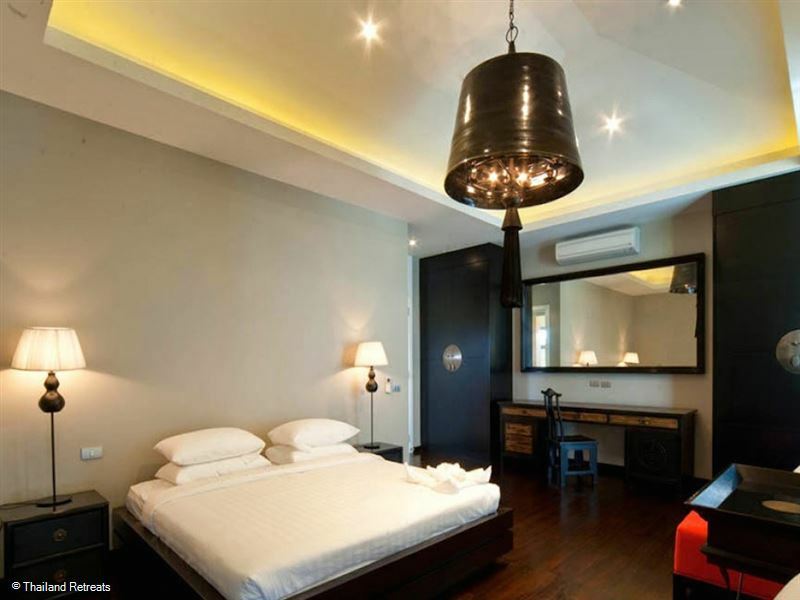 All rooms feature spacious wardrobes, luxury linens and large beds, exquisite artworks and luxury features. 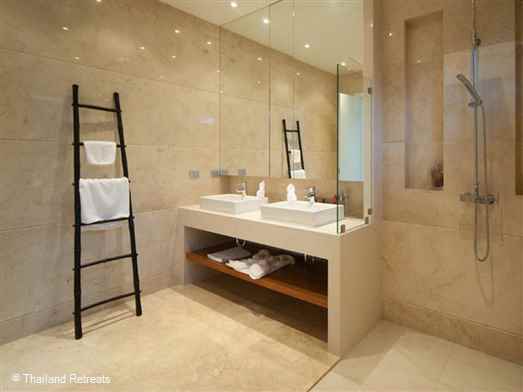 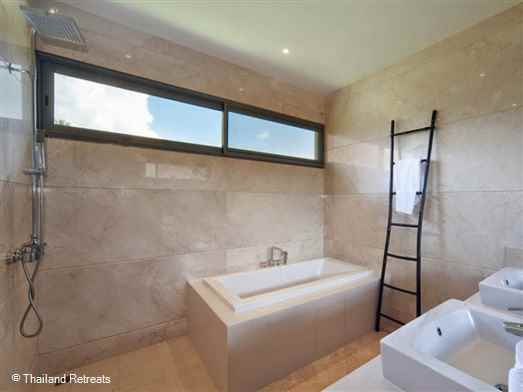 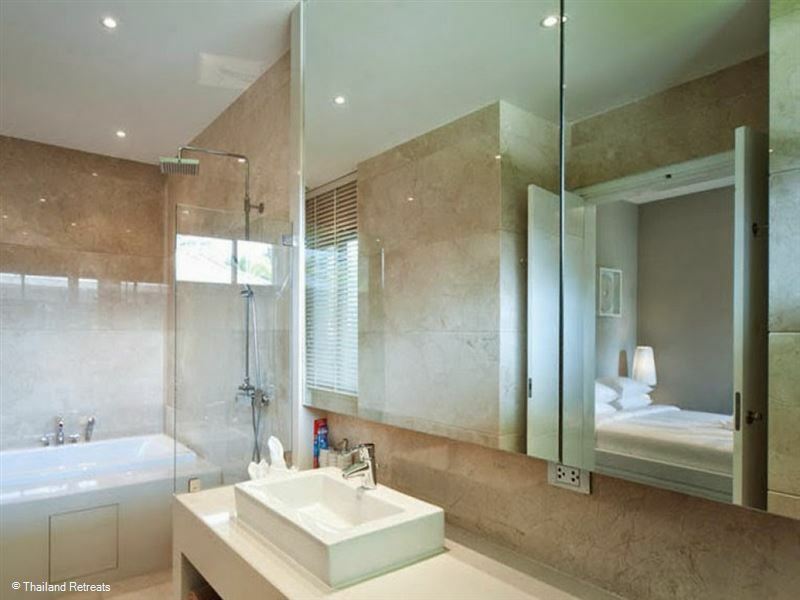 The large en-suite bathrooms are simply stunning with large bath or walk-in rain showers, terrazzo floors and walls and luxury units. 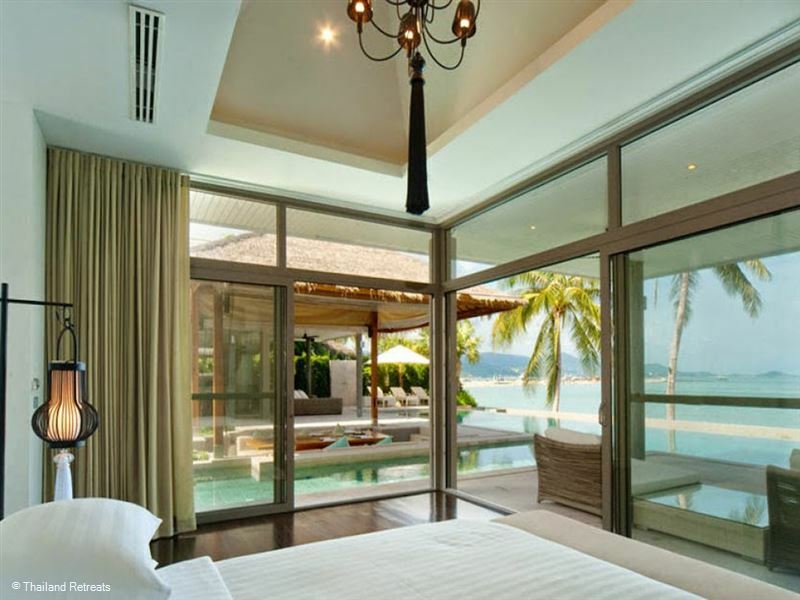 All bedrooms feature slide away doors, private patios, safes and air conditioning. 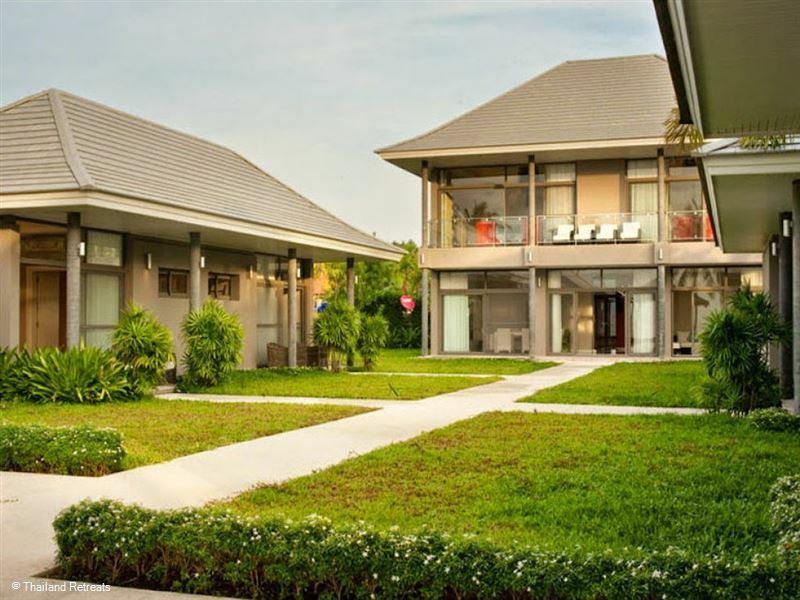 There is a lot to experience in the area with the quaint Bophut Fisherman's Village, the world class Santiburi Golf Course, the iconic Big Buddha Statue and an array of other attractions just a short distance away. The home comes equipped with villa staff on hand to take care of your every need with a range of options to choose from including private catering, spa treatments, excursion bookings and much more. 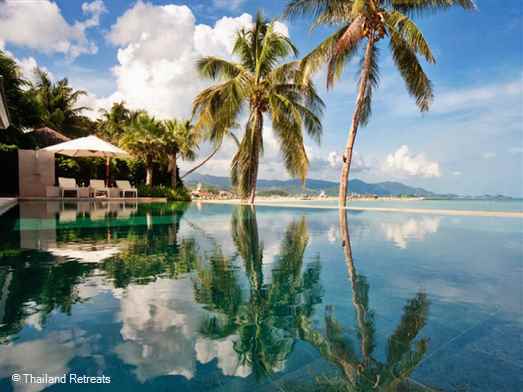 With its stunning beach location and tropical island allure this gorgeous home is without down one of our most beautiful villas in Koh Samui, sure to be the perfect home from home during your Koh Samui vacation. King size bed and en-suite bathroom. Individual pavilion next to the pool. 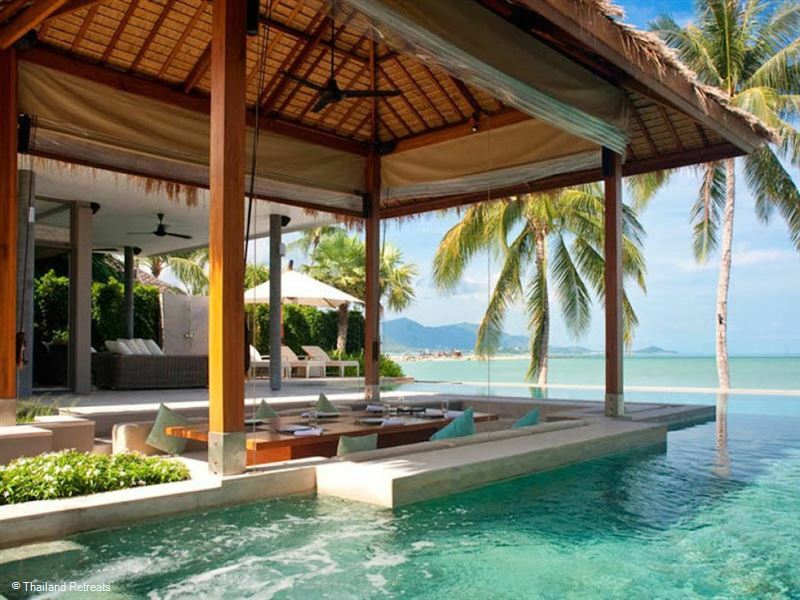 Covered veranda with jacuzzi tub and loungers. 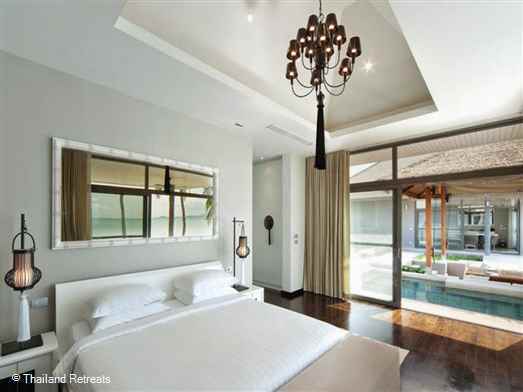 Shares a separate pavilion with Bedroom 3. Shares a separate pavilion with Bedroom 2. Individual pavilion opposite Bedroom 3.